Medium to small and very cold hardy, but not tolerant of very high summer temperatures. 5l version has 5-10 stems and is 0.5 -0.7 m high. 15l version has 7-10 stems and is greater than 1.25m high. Price includes shipping to UK mainland addresses. Additional charges may apply for The Highlands, Islands and Northern Ireland (BT postcodes). For shipping to anywhere else please fill out our enquiry form here or phone +44 1837 840989. 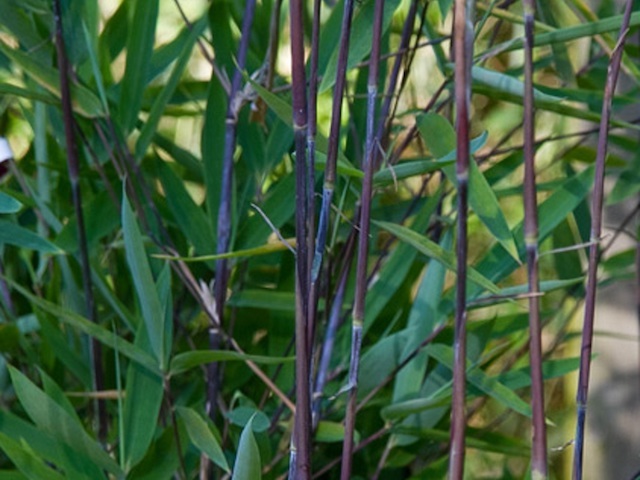 Click the button below to add the Fargesia nitida 'Black Pearl' to your wish list.